There is no doubt that Email Marketing is the #1 trick to be followed for your business. But, The whole world is running over mobiles, you, I and everyone. So, why not you mix up this mobile and email mixture funda to give your business a full proof protection. I have 20 solid reasons for you to make your emails mobile friendly. So, I hope these amazing 20 facts would be enough to compel you to make your Email Marketing a mobile friendly one. 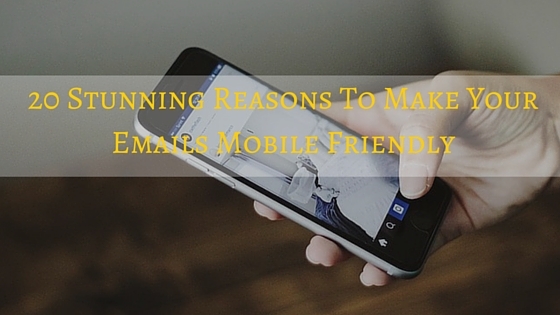 Read More: Why It’s Important To Make Your Email Newsletters Mobile Friendly? ?